When I first started doing home education with my oldest son Joshua, when he was around one year old, I simply wanted to be a faithful as a mother, to nurture and love my son, and train him up in the way he should go. I would basically wing it, coming up with ideas to pass time, and grow us closer together through playtime and learning. I was usually getting books from the library in a theme, and then making up art projects and games etc. to surround the book theme for the week. I tend to be more of the creative artistic type, so that kind of thing was fun for me to do and came naturally. However, when he started getting a little older, I wanted something more concrete. I would still do the same kind of thing, just on a deeper level, but I had things I wanted to teach him though I was not sure how that should look. It was around then that a good friend turned me on to a great resource. 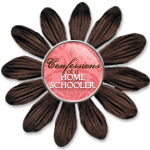 The website she sent me was http://www.hubbardscupboard.org/ and it was what completely jump started my journey, and excitement for homeschooling. This website has it all! They have full lesson plans outlined for you in full detail, there is only minimal preparation, such things as printing, organizing, and cutting. They have all your lessons pre-planned for you, what you should do day by day, broken down in a few different kind of ways, so it appeals to many learning and teaching styles, they even have it broken down hourly if you need that, They provide many printable worksheets, they suggest books to buy or check out at the library which supplement the lesson, they have songs, poems, nursery rymes, and many projects games and other items to illustrate and practice as per their lesson plan for each week. It is a Christian curriculum and goes along with a Bible theme each week, or as the kids are older, a character trait theme, always with corresponding Biblical verses, stories, and songs to illustrate that trait or theme. A variety of subjects are covered in a weekly plan, all somehow connecting to that weeks theme. This is MY personal favorite way to teach my kids. I love when every subject is connected, thats how the world works isnt it. It helps me to show how all areas of life work together, how God is in everything, and how we are constantly learning, even in our everyday tasks. Here is a good example, when learning about Adam and Eve, you will, read the story, sing a song and memorize a verse, as well as do counting math by using 10 5x7 full color tree print outs provided by the site, and small apples to fit the trees (you will need to cut them out) to create an apple tree counting book, you and your child will count out the appropriate ammt of apples, placing each one on a designated tree, each page has a different number, they are numbered up to 10. You will also do a letter which is A is for adam, which pairs with the song Adam ate an apple, a-a-a to illustrate the sound of the letter as well. Apple paint prints, and apples for a snack. Hubbards Cupboard provides ideas and pictures of those ideas for different art projects, sensory tub ideas, etc. and and often provide everything you need through printable worksheets to make them. You can use their ideas or create some of your own, which I do often. It is everything you would get in a "boxed" curriculum....for FREE! They also provide many useful links on thier site for you to look through and they are extremely informative. I really attribute this website to my feeling confident in my ability to homeschool my kids, and for giving me a one stop resource to show me what that should look like. It really got me started on the right foot. They have curriculum plans for babies thru 5 year olds and then have many links to provide homeschool support for kindergarten as well. If this article was helpful to you, I would love to recieve your feedback.